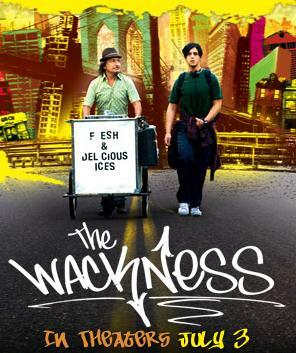 Jonathan Levine has written and directed a coming-of-age film and 90's nostalgia piece The Wackness. The center of the story is Luke Shapiro, played by Josh Peck, who is trying to survive the summer after graduating from high school as a cool loser...cool because he's accepted by his peers as a pot dealer, loser because he has no actual friends. He builds an odd bond with his therapist, Dr. Squires, played by Ben Kingsley, who he is paying with weed. Although, generations in age difference, these two have similar struggles in life. My expectations of Josh Peck's performance going into this movie were low. I've seen him on Nickelodeon with typical over-the-top kiddie acting. But, I was pleasantly surprised. Peck effortlessly shows the awkwardness of trying to be accepted and the frustrations of living in an unhappy home.